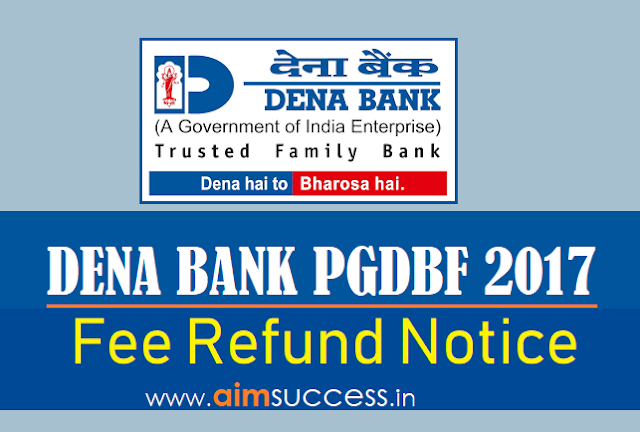 Home dena-bank-job Exams/Notification NOTIFICATIONS Dena Bank Fee Refund Notice for Bank PO Exam 2017, Check Details! 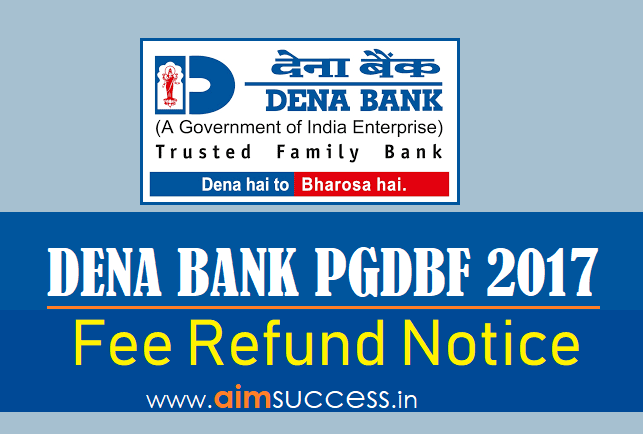 Dena Bank Fee Refund Notice for Bank PO Exam 2017, Check Details! Dena Bank has sent an email to the candidates who had enrolled for Dena Bank PO Exam 2017. The Dena Bank PGDBF PO exam got postponed from 2017 to 2018 and then canceled ultimately this year. The students who had filled Dena Bank PO Form in 2017 can now check their email for notice regarding fee refund. This has reference to Dena Bank's advertisement dated 17/04/2017 and your on-line application for the post of Probationary Officer in Junior Management Grade Scale -I after completing PGDBF Course through Amity University. This has also reference to the communication to you informing about the cancellation of on-line examination scheduled to be held on 02/06/2018 for PGDBF course. In view of cancellation of the said on-line examination, it is now decided to refund your application fees. Accordingly, you will receive refund of the application fees shortly.